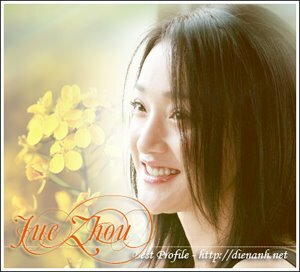 Zhou Xun: Either love or hate. This is one movie you will either love or hate. The slow-pacing movie tries to do a cross between a stylish modern-day action movie that feeds on pop-culture influence and an edgy Wong Kai Wai genre and ends up with something that was rather mundane and confused. While Wong Kar Wai movies tend to focus on the feelings and emotions between his characters and on certain themes that he wants to show, there wasn't much a need for him to come clean like what MTV director Susie Au did with Ming Ming. At the end, she tells the audience what she was trying to show them. In the film, Zhou Xun stars in the two lead roles: one as the cool superhero-like Ming Ming who runs away from the mob boss (Taiwanese balladeer Jeff Chang) that she works for with the stolen five-million dollars and a wooden box to look for D whom she has fallen for; and the other as a spunky, orange-haired lass who was mistaken for Ming Ming and decides to run off as well with the money she is mistakably handed. The film thrills with its panache of showy action sequences and starts off with a chase that leaves you just as breathless. And together with those MTV-influenced shots, freeze frames and jump cuts with edits, it is one stylish show. There were obvious influences from the movies she loves like the matrix-like fight scenes and Wong Kar Wai who is similarly influenced by pop culture and the French New Wave. Even the cabin scenes in the ship makes me wonder if she was a fan of Hitchcock. The scenes on the train give the movie a whole voyeuristic feel to it. But all that show for a plot that thin really didn't work even though the characters created had potential to develop. It's a pity the plot fizzles out with an over-reliance on flashbacks and voice-overs.